New York: Ballantine, 1986. Hard Cover. Good/No Jacket. Catalogs: Science Fiction. Baen 1995. hardback no dustcover remainder mark. THE ARCANA BOOK 1 FICTION SCIENCE FICTION. Catalogs: Science Fiction. New York: Ballantine, 1978. ISBN: 0345070924. Mass Market Paperback. Fair. 0345270924 SCIENCE FICTION. Catalogs: Fiction, Science Fiction. New York: Del Rey Ballantine, 1981. Good/Fair. Catalogs: Science Fiction. Garden City: Doubleday, 1983. Hard Cover. Good/Fair. Catalogs: Fiction, Science Fiction. New York: Ballantine, 1997. hardback with dustcover 2 copies. ISBN: 0345315227. First Edition, Fifth Printing. Hard Cover. Very Good/Very Good. FANTASY AND SCIENCE FICTION. Catalogs: Science Fiction. New York: St. Martin's Press, , 1996. ISBN: 0312139632. First Edition. Very Good/Very Good. ED JOAN SIMPSON BURNS, INTRO ARTHUR C. CLARKE, AFTERWORD BY STEPHEN JAY GOULD FICTION SCIENCE FICTION. Catalogs: Fiction, Science Fiction. Riverdale, New York: Baen, 1997. ISBN: 0671877747. Hard Cover. Very Good/Very Good. Illus. by Gary Freeman. Catalogs: Science Fiction. New York: Random House, 1973. Hard Cover. Good/Fair. Illus. by John Sposato. Catalogs: Science Fiction. New York: St Martins, 1979. spots on first few pages otherwise good. ISBN: 0312890508. Hard Cover. Good/Fair. Catalogs: Fiction, Science Fiction. Atlanta, Ga.: Peachtree Publishters Ltd, 1986. Trade Paperback. Good/No Jacket. First Edition, First Printing. ISBN:0934601070.. FOREWORD BY ISAAC ASIMOV SCIENCE FICTION, FANTASY & HORROR. Catalogs: Science Fiction. New York: Simon and Schuster, 1985. ISBN: 0671434004. Later Printing. Hard Cover. Good/Good. Catalogs: Fiction, Science Fiction. New York, New York: Delacorte, 1970. First Printing. Hard Cover. Good/No Jacket. Catalogs: Fiction, Science Fiction. New York: Holt, Rinehart, and Winston, 1966. Hard Cover. Good/Good. 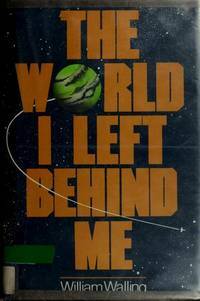 First Edition.. ROBERT GIUSTI SCIENCE FICTION. Catalogs: Science Fiction. New York: Tor, 1983. ISBN: 0523485824. Mass Market Paperback. Good. SCIENCE FICTION. Catalogs: Science Fiction. New York: Paperback, 1970. Mass Market Paperback. Fair/No Jacket.. SCIENCE FICTION. Catalogs: Science Fiction. New York: Del Rey Ballantine, 1982. Book Club Edition. Hard Cover. Good/Good. Catalogs: Fiction, Science Fiction. New York: Daw Books Inc, 1977. Hard Cover. Good/No Jacket. Catalogs: Fiction, Science Fiction. New York: Bantam, 1990. Hard Cover. Good/Good. BOMC. 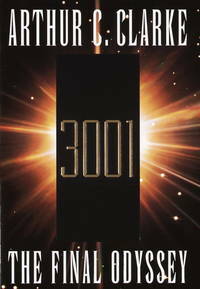 ISBN:0553057782.. SCIENCE FICTION. Catalogs: Science Fiction. Garden City : Nelson Doubleday, 1987. ISBN: 156865037x. Hard Cover. Good/Good. Illus. by Richard Powers. Startide Rising and the Uplift War. Catalogs: Fiction, Science Fiction.